Tandem Skydiving could be a life changing event for you. It only takes a brief training session and you're ready to have the thrill of a lifetime! You can also jump solo your first time and become the Skydiver you've always wanted to be with our first jump course class. 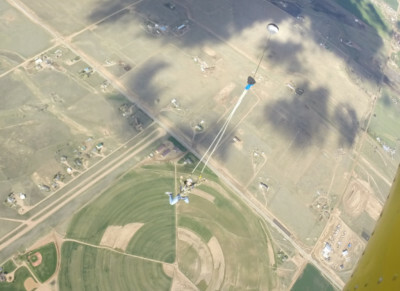 Our facility is perfect for Team Building, Family outings, Wedding proposals, Parties the sky's the limit and we're here to make sure you have a fun safe parachuting experience. Spring is here, it's Skydiving season. Open all year, weather permitting. Weekends and by appointment on weekdays. You can call us anytime if you have questions or book online.